Residencia Damia Bonet i Valencia, Spanien : Boka nu! 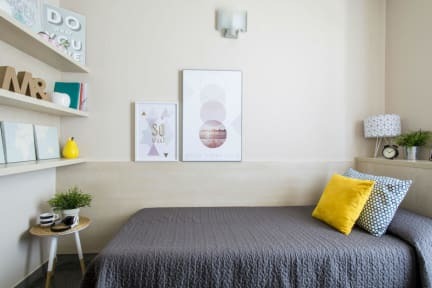 The Damià Bonet Residence Hall is located on Campus dels Tarongers of Universidad de Valencia, beside La Malvarrosa Valencia's excellent urban beach only 15 minutes from the City of Arts and Sciences. The campus is located to the north-east of the city and is well communicated with public transport such as the underground and bus routes. 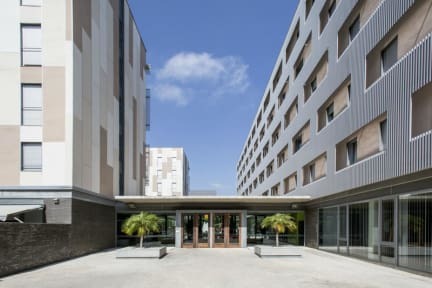 The campus provides diverse accommodation options as well as modern common areas and facilities (gym, leisure room, exterior terrace, car park, etc.) making your stay more pleasant.